The air is crisp and the mornings are cool. We’re surrounded by an array of plush green leaves that smell divine in the cool afternoon breeze. The Indian monsoon plays a daily game of hide and seek with the inhabitants of the subcontinent and cooler days beg for warmer or should I say crunchier and crispier foods. Its a given that we the people of the east love our snacks, in fact a survey highlights this fact, that 67% of all food consumption here in India is that of snacks, we Indians certainly take our munchies very seriously and come monsoons this seriousness is at an all time high! Every known and available vegetable is copiously coated in seasoned chickpea batter and tossed in woks of hot oil, the end result is savoured in 45 secs flat or a minute if you have a lot to say to your chai time buddy. I however am not a lover of deep fried stuff, Gasp! 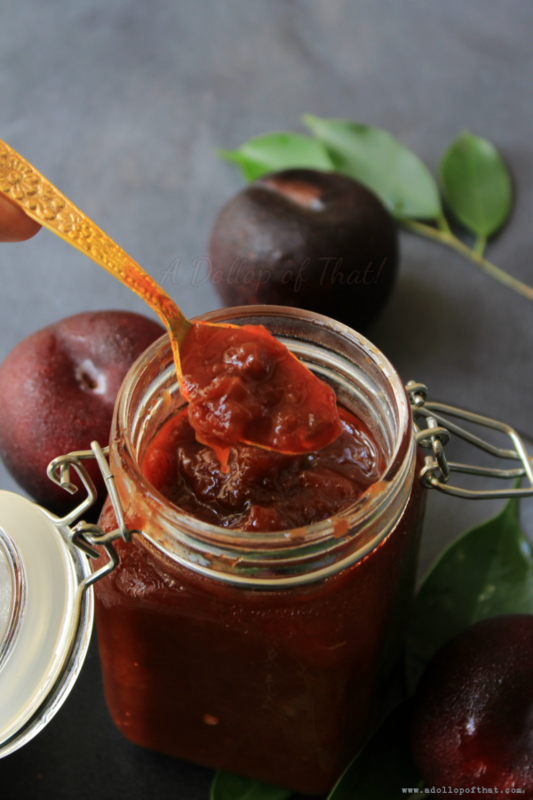 !, yes, true, I rather substitute the wok with my little oven or my new found love the appe patra (a.k.a the æbleskiver pan), what I do love however is anything that is tart and tangy be it sweets, main courses or even snack time chutneys (dipping sauces). 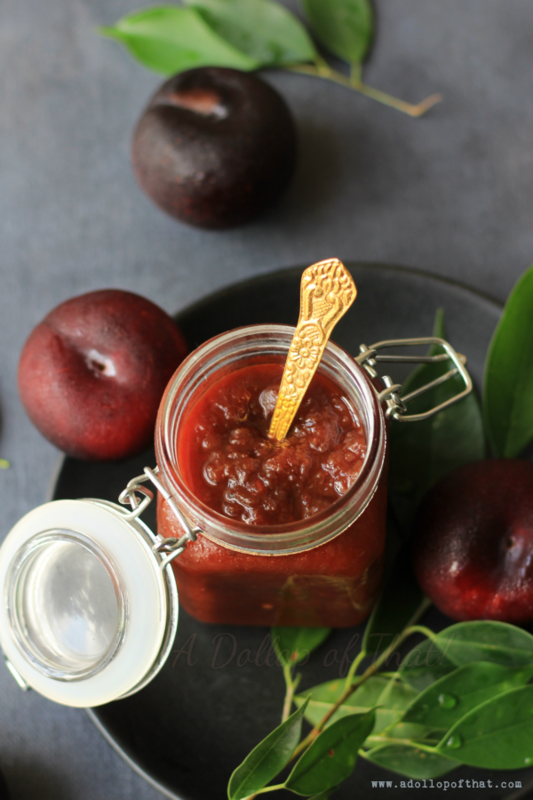 Now since stone fruits (read peaches, plums and cherries) are available in abundance in the market of late, my fruit loving mind started to churn its rusty wheels and an appropriate recipe was concocted. Ideally here I would have made a large batch of jam, but I'm consciously trying to control my dessert making urges (which come very naturally to me all the time) and focusing on cooking seasonal but savoury produce. 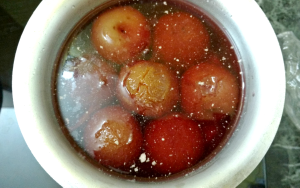 Wash and pressure cook the plums in just enough water to cover them for three whistles. Turn off the gas and allow the cooker to cool down. 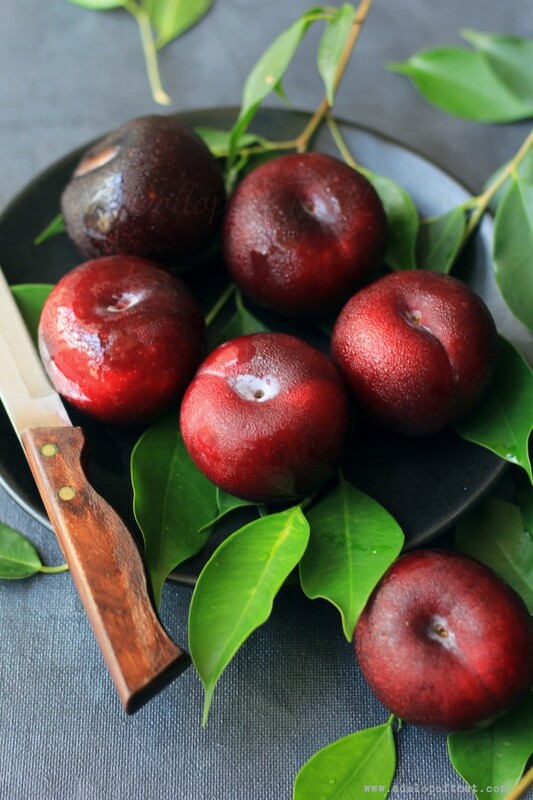 Once cool remove the plums and set aside the cooking water, de-seed the plums. In another pot add in the cooking water (from the pressure cooker) along with the de-seeded plums and bring to a boil. 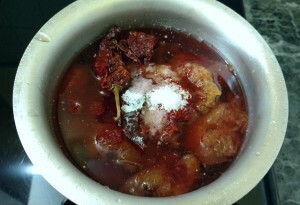 Once the plum water comes to a boil turn down the heat to medium low and add in all the remaining ingredients. Mix will and allow to cook till most of the water evaporates and your are left with a sticky and runny jam like consistency. Switch off the flame and allow to cool down completely. Fill into airtight jars and refrigerate. 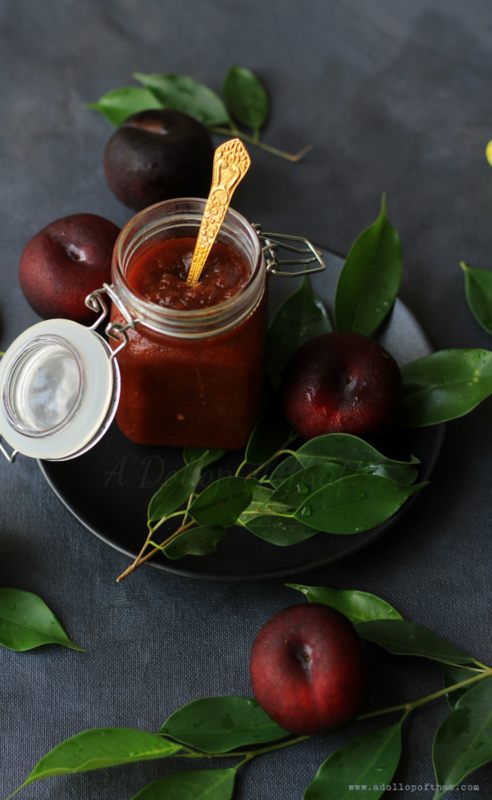 This chutney stays good for a good number of months. Serve with your favourite munchies, I like mine by the spoonful with my dinner.